Find out more about the release from the Survivors: A World Away blog (which focuses on the original series). Roger Hancock (brother of comedian Tony Hancock, and for many years agent for Survivors‘ creator Terry Nation) has died at the age of 79. Roger was the emeritus head of the Terry Nation estate, and for many years proved himself to be a tough and resolute negotiator, determined to get the best deal possible from anyone seeking to licence any of Terry Nation’s intellectual property – the Daleks foremost amongst that body of work. He was involved in many protracted negotiations with the BBC and others over their use of the Daleks, refusing any use which was thought inappropriate. In July 2004 it was reported that talks between the BBC and Hancock, representing the estate of Terry Nation, had broken down over issues of editorial control and as a result the Daleks would not appear in the relaunched series. An agreement was later reached which saw the return of the iconic monsters to the series. 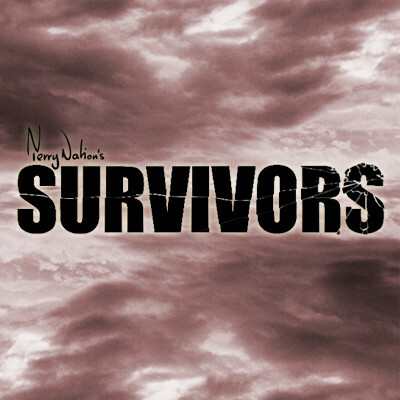 In 2006, lengthy negotiations between the Terry Nation estate and the BBC over the use of Terry Nation’s 1976 Survivors‘ novel concluded successfully – clearing the way for Adrian Hodges’ revival of Survivors in 2008. Alwyn W Turner. 2011. 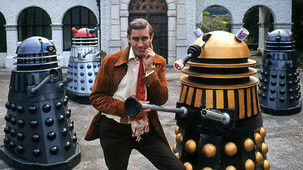 The Man Who Invented The Daleks, The Strange Worlds Of Terry Nation. London: Aurum Press is available from Amazon, Waterstones, WHSmith and other retailers. A review of the book will be published on the Survivors: A World Away web site shortly. A sixty-minute radio documentary exploring the career of Survivors‘ creator Terry Nation was broadcast on BBC Radio Wales on 25 December 2010 and 1 January 2011. How the Welsh writer became the cornerstone of cult television in Britain with creations like Blake’s 7, Survivors, and The Daleks. Nicola Heywood Thomas narrates. The documentary is available (to UK listeners) on the BBC iPlayer until Friday 7 January 2011. The documentary features brief excerpts from The Fourth Horseman and Genesis; extracts from the Cult of… Survivors interviews with director Pennant Roberts and Carolyn Seymour (Abby Grant); and commentary from author Jonathan Bignell. The original Survivors ranks at the paltry position of 54 in Total Sci-Fi‘s rundown of its ‘top 100 Greatest Sci-Fi & Fantasy TV Shows’ published on 15 November. A pandemic wipes out modern society as we know it, leaving a small group of people facing life in a desolate Britain in Terry Nation’s downbeat and thought-provoking ‘70s drama. When the show started going in directions he didn’t like, Nation departed and penned a Survivors novel – which became the basis for Adrian Hodges’ not-bad 2008 reinvention. The BBC cult plague drama of the 1970s is finally back in print! Abby Grant, widowed by the plague, is sustained by hope that her son, who fled his boarding school at the onset, has survived. Determined to construct a new society from the surrounding wasteland, she joins with others to form a commune. The technology and skills of the old life are now obselete and the group must relearn the skills on which civilisation was built. For Abby, there’s a chance for a new life and love when she encounters James Garland, the fourteenth Earl of Woodhouse, who is engaged in a desperate fight to save his ancestral home. But more importantly, she must find her son. Written by Terry Nation, who notably created Doctor Who’s mortal enemies, the Daleks. Survivors is a prescient and terrifying vision of a post-apocalyptic world. A remake of the Survivors television series, starring Max Beesley (Hotel Babylon) and Julie Graham (William and Mary; Bonekickers), premiered on BBC One on 23 November. Set in the present day, the new series is based on the story arc of the novel, rather than that of the previous television series.